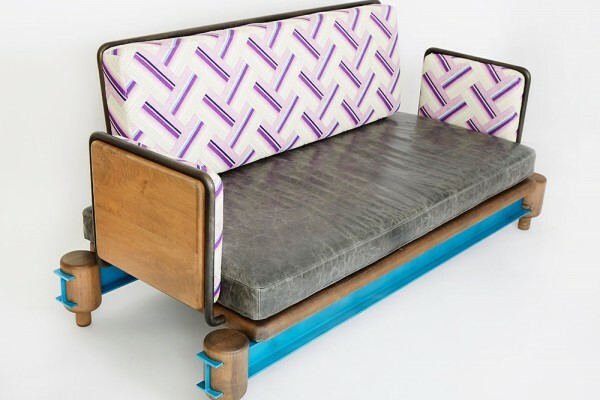 The "I-Beam Couch" like all of Evan Z. Cranes pieces, has got some big personality. 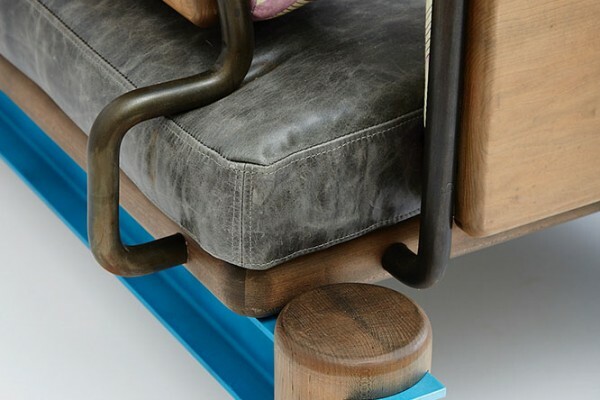 Perfectly emphasized by the custom lacquered aluminum I - beam penetrating a hand turned oxidized maple foot, this piece is completely individual in its design. Intended to be a showstopper the I-beam couch would be a feature piece in any home, office, gallery and hospitality space. 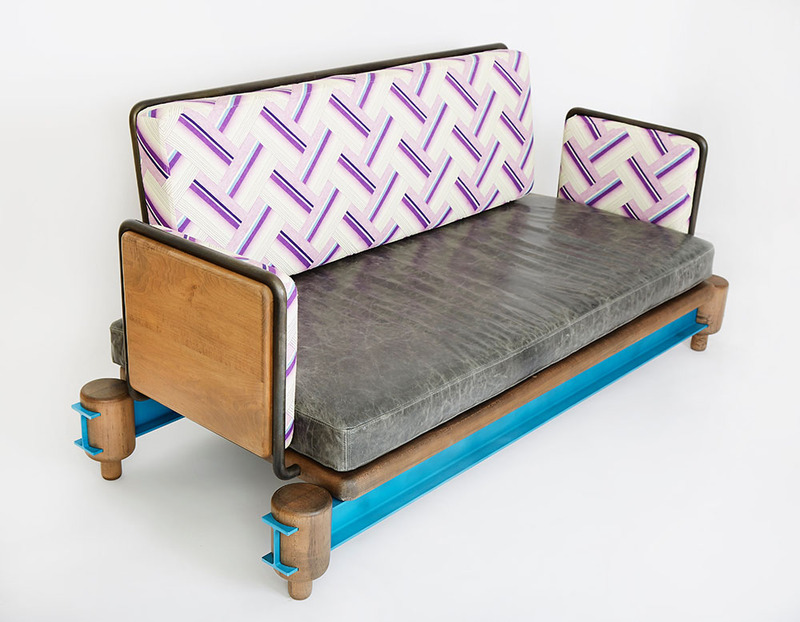 Evan drew upon all of his influences during its conception, the beam couch is a blend of Mid-Century modern, industrial arts and neo-brutalism. He goes on to say, "Honestly, I had very little control over the design, the forms really materialized in my brain all by themselves. All I could do was try to stay as true to my original vision as possible. 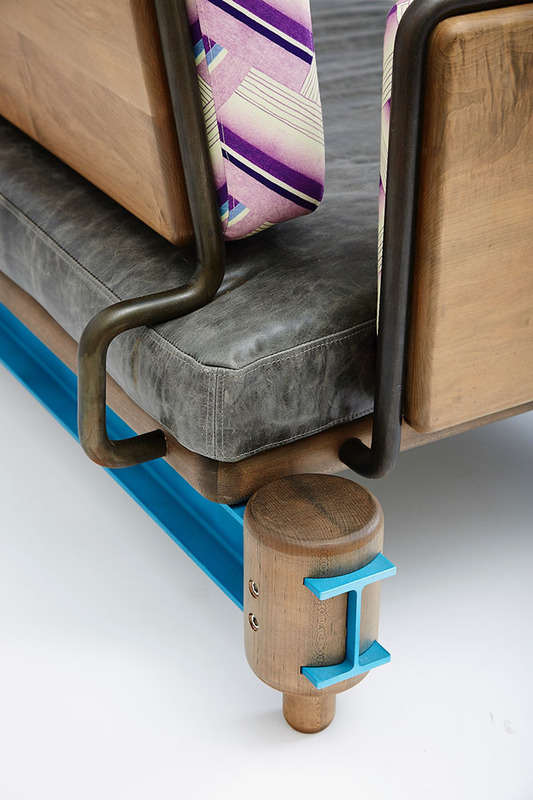 I knew that if I could do that, the I-beam couch would truly live on its own after I finished crafting it". 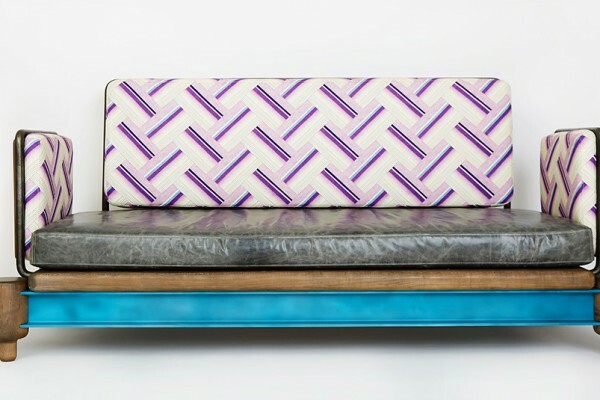 The features are of course fully customizable, each owner can select materials and finishes that speak to them in the same way the I-beam couch spoke to its creator. 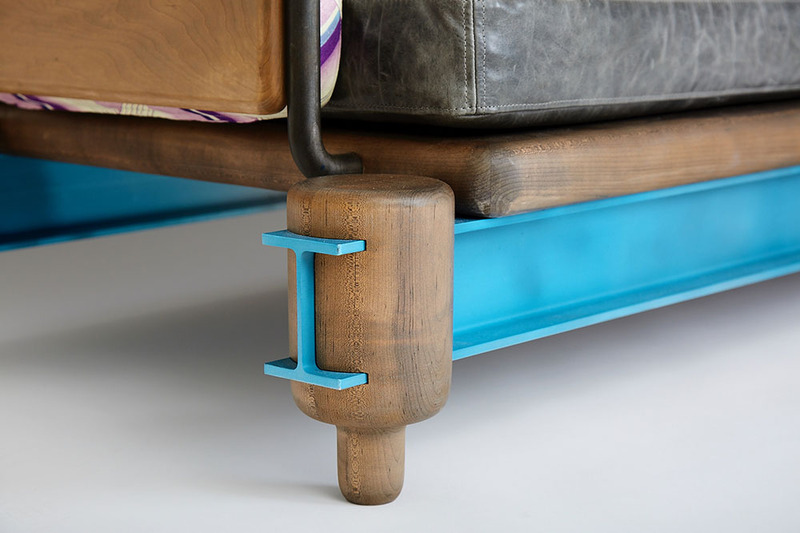 Materials: Lacquered 6061T Aluminum I-Beam (shown in Phthalo Blue), oxidized maple, blackened steel, Leather Cushions, custom fabric from De-Islas. 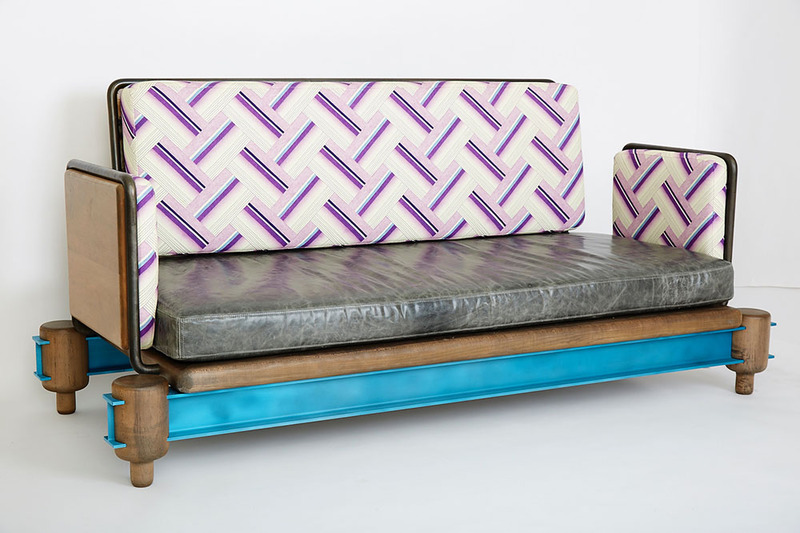 Customers can choose from : Custom sizing, custom lacquer colors , wood species, metal types, fabric and cushions. 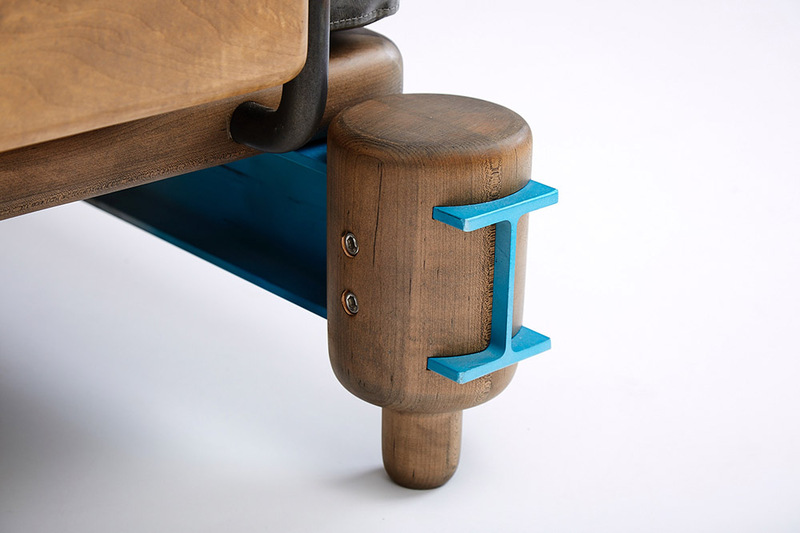 All furniture available in White Oak, Reclaimed Oak, Sapele, Walnut, Ash, and most other domestic hardwoods. 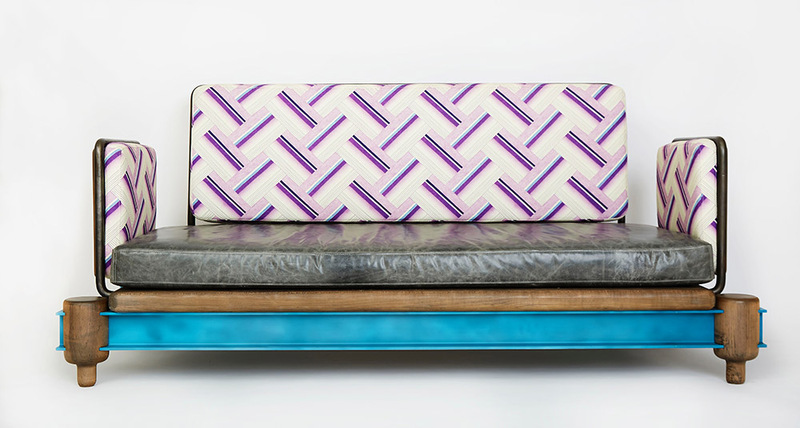 Multiple wood finishes, lacquer colors, and upholstery options. Exterior versions available.